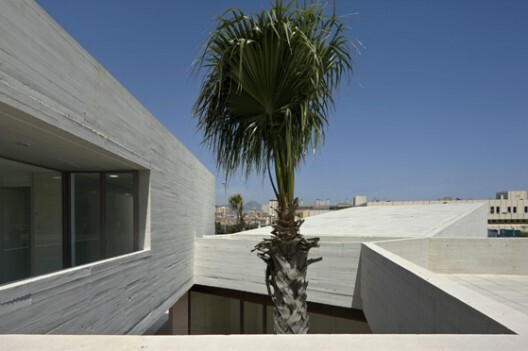 The Participatory Resource Center of Malaga is an exempt building of 794 m2 promoted by the City of Malaga. 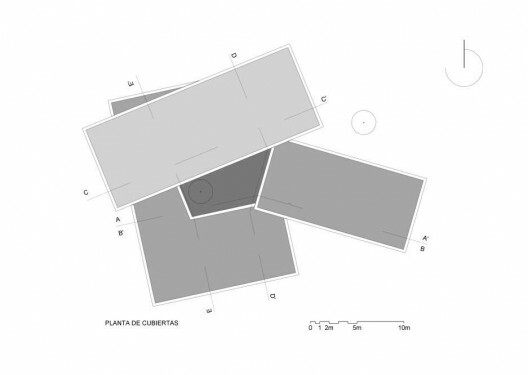 This is an exempt building whose geometry has three parts twinned with each other around a courtyard, where all uses are oriented in the space relationship. 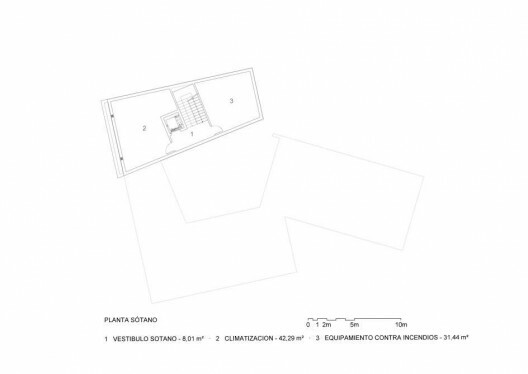 The building is supported by the public space, by a piece rectangular courtyard which arises from the interaction of other parts. 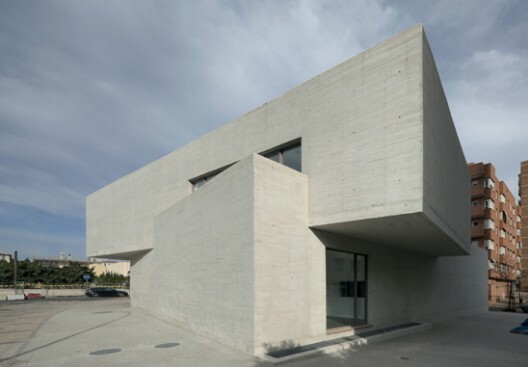 The volume is fixed in white concrete with a height of ground and first floors,leaving a small cellar and warehouse facilities. This arrangement frees the decks emphasizing the part geometry and recovering the front cover as a place of relationship. Access is marked by the flight of the upper part, which is closed by turning the courtyard income generating path through it. The volume is depressed in the south to allow sunlight to penetrate the courtyard, this space being the heart of the building.